Plan around baby’s eat-sleep-play schedule. Loosely building your daily itinerary around your baby’s eat-sleep-play schedule can help ensure you have a happy (or sleeping!) baby as you sightsee, lie on the beach, or try out the local cuisine. If you’re not quite sure about the timing of this schedule, start tracking it about a week before you leave for your trip. In addition to molding your itinerary around your baby’s eat-sleep-play schedule, you’ll also be doing yourself a favor by keeping your itinerary short and sweet. Rushing from one activity to the next, and being on a tight timeline, can easily go awry with a baby who couldn’t care less about your timing needs. You could try planning one big activity each day, and leaving the rest of your time open for spontaneity, which can totally include a long nap in your hotel room! 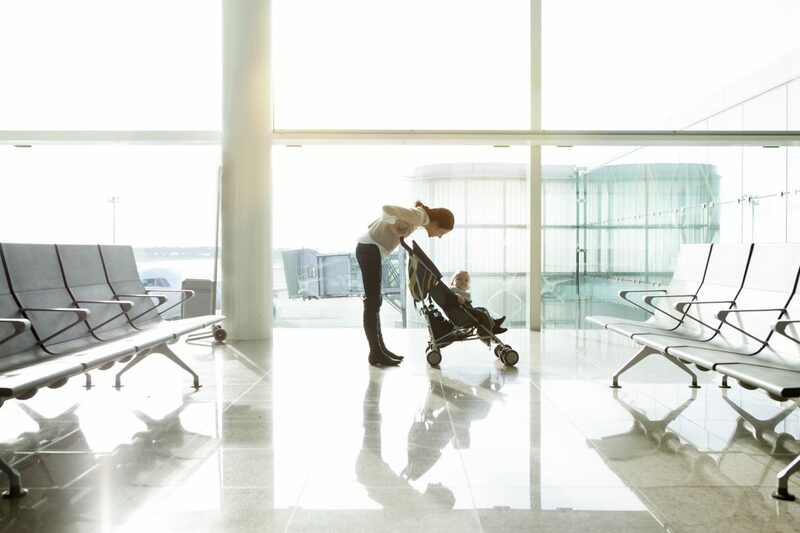 Unless you’ll have childcare during your trip, keep baby in mind as you schedule activities. For example, seeing a show or going to an art museum might create more stress than sightseeing in an outdoor location baby can safely explore, or playing in the pool. And, if you’re scheduling paid activities, make sure they have a generous refund policy in case baby decides to change your plans at the last minute. About a week before you leave start thinking about the items you’ll need for each phase of your trip, and write it all down. This pre-planning gives you time to purchase new items you may need and cross off items you decide are non-essentials. You can also organize your list by category (e.g., airplane, bedtime, beach, car travel, etc. ), which can simplify packing and the eventual retrieval of items. 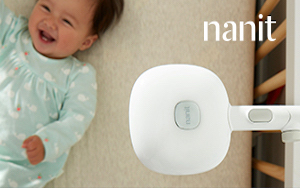 For packing list ideas, click here [https://www.nanit.com/blog/baby-travel-packing-list/]. Replicate baby’s sleep environment, as much as possible. While it’s impossible to create an exact replica of baby’s nursery while traveling, bringing along some key items can help create an ambiance of familiarity, that will hopefully make it easier for your baby to slip into slumber. For example, if your baby usually sleeps with a special blanket and sound machine, in a dark room, you can bring along the blanket and sound machine (or find a sound machine app on your phone), and hang a blanket over the curtains while baby’s sleeping – if you’re not staying in a hotel that has black out shades. Choose accommodations with a private bedroom. If possible, select a hotel room or vacation rental that has a private bedroom for baby to snooze. This way, you can enjoy a movie, play a game, or have a lively conversation with your partner while baby recharges. You want to enjoy your vacation, and having to whisper and tip toe around every time baby is sleeping can dampen that enjoyment. Stay true to bedtime routines. When everything around baby is new and exciting, lulling them into sleep can be tricky. But, the familiarity of moving through a bedtime routine that’s identical to what they experience at home (e.g., bath, book, song, lights out) can remind them when it’s time to sleep, and help them wind down. Find out if your accommodations offer baby supplies. Many hotels and home rentals offer items like cribs, outlet covers, and tub toys, minimizing the amount of items you need to pack. In addition, some hotels are now offering programs that allow you to order items like baby food or diapers that can be shipped directly to your room. Stick to a healthy, balanced diet. While a slight shift in diet is normal and often unavoidable while traveling, choosing healthy options for baby (and yourself!) can help stabilize their mood and energy, and keep their digestive system from slowing up. An occasional splurge is fine, but overdoing it with fried, or overly sweet or salty, foods can throw baby’s system out of whack, resulting in an irritable little travel companion. Babies can easily experience agitation with all the newness that travel brings. This agitation can be minimized if you or your partner are keeping baby close by using a comfortable baby carrier. This also frees you up to enjoy activities that are tricky to do with a stroller – for instance, a walk on the beach or down a cobblestone street. Do a feeding at take off and landing. Breast or bottle feeding during the commotion of take off and landing can help keep baby’s ears clear and comfortable, and can minimize anxiety that can comes from the strange sounds and sensations. Schedule regular stops during road trips. Feedings (if you’re breastfeeding) and diaper changes will require frequent stops, so, do some research about good locations to take a break on your route. Preplanning these stops can help to ensure you’re stretching your legs in an enjoyable location, instead of a grimy gas station bathroom. In regards to timing, stopping every 1.5 to 2 hours allows you to cover some ground, without pushing baby past their limits. Babies often feed off their parent’s energy, so the more relaxed you are, the more relaxed they’ll likely be. Utilize simple relaxation techniques like deep breathing or doing a few jumping jacks when you feel your tension rising, and reap the benefits of a mellower trip for everyone involved.